HIKE Fund – Page 2 – The HIKE Fund, Inc. Effective May 6, 2018, we are currently not taking any new applications due to the availability of funds for grants. The Job’s Daughters are working hard to raise monies so we hope to begin taking new applications in the near future. Stay tuned to our website and social media for updates. If you’d like to help, please consider making a donation: https://thehikefund.org/donate/. Kicking Off 2018 with a BUZZ! The HIKE Fund, Inc. has had a busy winter presenting awards across the U.S. Fundraising continues to be strong, and we have a few updates. Our top five fundraising states are Virginia ($17,293.87), Nebraska ($10,758.18), Wisconsin ($10,445.83), Illinois ($8,821.84), and Maryland ($8,703.13). Since 1985, donations total $5,459,757.99 – almost $5.5 million – will you help us hit that goal by Supreme Session in Utah? January 6 – Ali Blankfeld, Grand Bethel Honored Queen, and Lynette Camerlin, Ohio Miss Congeniality, led a presentation about Ohio Job’s Daughters and HIKE for Ella and her family at Bethel 11, Rocky River. The family stayed for the installation that followed the presentation, and Ella helped with sunshine collection with another Jobie To Bee! January 29 – Adam received HIKE award for bilateral hearing aids, presented by Dr. Ashlee Vandiver, Au.D. in Maine. February 3 – Wyoming Job’s Daughters had the honor to present a HIKE award to Loren, a 19 month old boy from Casper. Loren is using his HIKE award to get a personal FM system. The Wyoming Job’s Daughters were gathered together at the Casper Masonic Temple for Winter Festival, a Masonic Family Fun Weekend. Loren and his mom, Betsy, were very excited to meet the Daughters, learn about Job’s Daughters International, and enjoy a nice dinner with everyone. Wyoming Job’s Daughters are feeling very motivated after giving two HIKE awards this year! The Daughters are working hard towards their goal of $10,000 for the year. February 5 – Indiana Job’s Daughters made a HIKE presentation to 15-year-old Trinity. Trinity and her family are from Crawfordsville, and we partnered with Montgomery Lodge #50 to make the presentation. The Lodge invited the family and the Job’s Daughters to dinner before their state meeting. After enjoying a delicious meal, members of Bethel #107 Brownsburg and Bethel #121 Brazil made the presentation on behalf of HIKE. Trinity’s mother, Pam, expressed her gratitude to Job’s Daughters and HIKE. The funds will be used to cover the cost of new hearing aids for Trinity. Indiana Job’s Daughters would especially like to thank Worshipful Master Greg Thompson and Lodge Secretary John Phillips for allowing us to make the presentation and for their generous hospitality. The HIKE Fund Board of Directors is currently meeting in Las Vegas, and working to improve the efficiency of our application to award process. We care about what you think about our work and are always open to your feedback. HIKE Brochure is finally here! RESOURCE: The new HIKE brochure is now complete and ready for download and order. Enjoy! 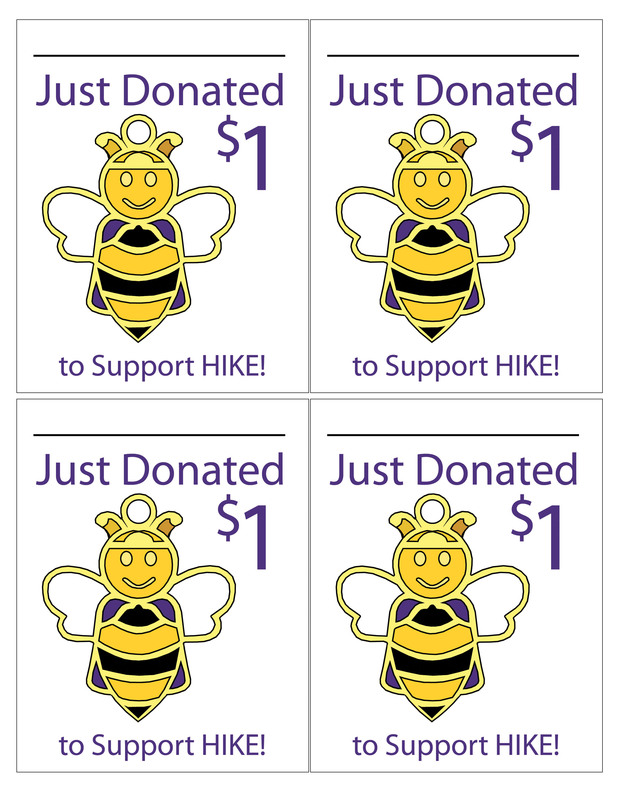 Bee-lieve in HIKE in 2017-2018! 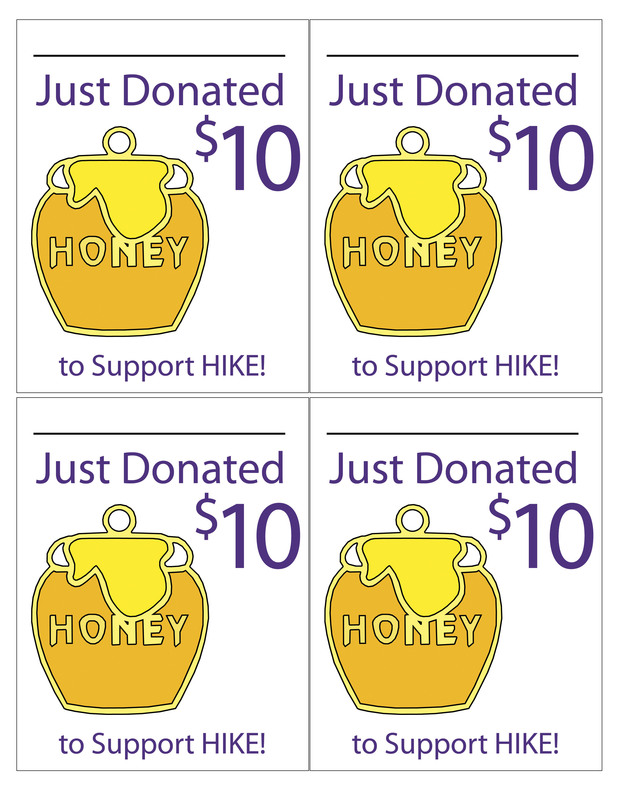 This week, we begin a new fundraising year for HIKE. We celebrated an incredible year raising $183,474.69 – the most we’ve ever received. Our goal was big; we aimed for $200,000. Overall per capita, we hit $39.30 per Job’s Daughter – beating our goal of $32 for 32 years by over $7. Thank you so much for your incredible support of our Jerry pin this past year. We have much to believe in as 68 grants were awarded this year! Again, the most we’ve ever given as we enter our 33rd year. 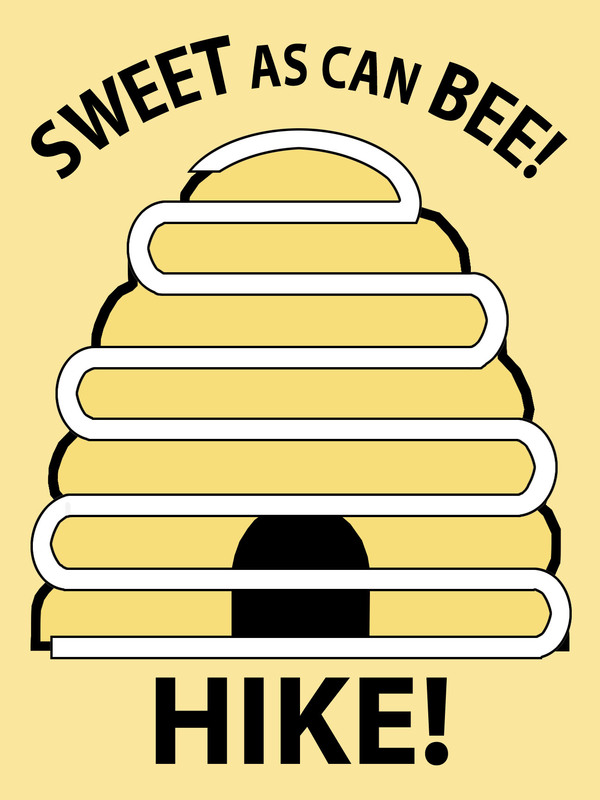 For Mom Shelly and Dad Ralph’s year, we’re asking everyone to be as “sweet as can bee” and get those HIKE donations in. We had 30 – yes, you read that right – THIRTY phenomenal young women from across the U.S. who raised a minimum of $1,000 in one year. Our top two fundraisers together brought in over $10,000!! It’s amazing when the real-life application of giving the gift of hearing becomes a valued focus for our Bethels and Job’s Daughters supporters. We’ve heard the call to update our sponsorship form as a fillable PDF. Download a copy and keep a clean record of all of your donations! This will make turning in your forms and money at your state or regional HIKE event that much easier. You can always give a donation in memory or honor of someone special or as a gift to acknowledge awesome people in Job’s Daughters. We’ve added in a new recognition program and you can learn more about here. There is a form to fill out online when you’ve raised $24, $70, or $365! You’ll receive a certificate to proudly promote as a way to say thank you for your hard work for HIKE – 24 hour a day, 7 days a week, 365 days a year. Don’t forget to submit your upcoming HIKE events to the calendar, and follow along with what’s happening around the country in other places. Items from Supreme Session are still available for sale – check them out and help promote HIKE! Send an email to Doris if you’d like to purchase a HIKE mudbracelet, power bank, set of note cards, or hot/cold stainless steel tumbler. Thanks for sharing our Facebook page – we are now over 2,500 fans!! Look for more action over on our Instagram this year. We’d love to have live reporting on IG from state events and activities. If you are interested in “gramming for HIKE,” send an email to thehikefund1985@gmail.com. Updates and more information to come as the year progresses. Thank you for the incredible support you’ve given to HIKE over the past few years. You make HIKE the success that it is! HIKE Board is now accepting bids for the following items through Thursday, August 3rd. Bids will close at 4pm. 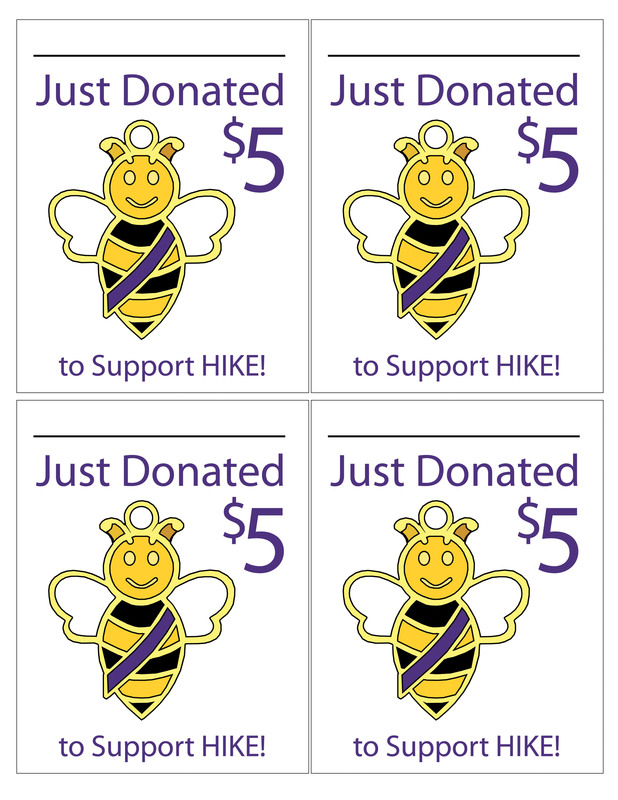 Bids will be accepted in-person at the HIKE sales table in Hemlock Room, and online via Facebook. Each item will have a separate post on Facebook. We will add the online bids to the bid sheets as they are received, and post the bid sheets to Facebook in the original posts at the end of each day. Thank you for your support!! Supreme Session is almost here! The HIKE Board, Inc. looks forward to our end of year celebration in Valley Forge, PA, and kick-off for another year of fundraising! The Board will be holding their annual meeting on Monday, July 31 and August 1 and work through a full-agenda. As always, we love your feedback. Please feel free to let us know your thoughts! 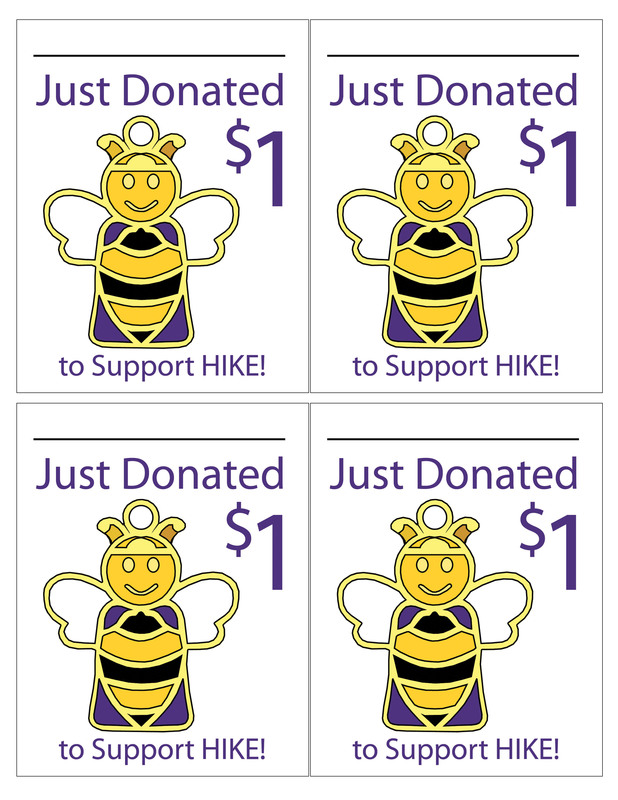 We will hold a HIKE Coordinators Meeting on Tuesday, August 1 from 1:00 – 3:00 PM in the Gladwyne Room. A new Coordinator’s Handbook will be released and every jurisdiction should have a representative present for this. We have an amazing 27 young women who have raised over $1,000 for HIKE this past year. They will be presented with a medallion and certificate at Formal Opening. In addition, we will present volunteer awards 10 adults who have given of their time, talent and support to HIKE in the past year. We are close to hitting our big goal of $200,00 and we hope to share that we have done it. We will be holding a raffle for a Jobie Bear, made and donated by Leslee Haylett (Montana) – get your tickets from the HIKE Sales table in the Hemlock room. Tuesday night is our HIKE Superhero Dance – look out for the call light and join us at 9:00 PM – 12:00 AM in The Vault. The Jerry HIKE pin has been extra special and was very successful. Many thanks to Dad Tim for allowing Jerry to be our HIKE ambassador this year. Rrrrringg, beeeeepp! Not that we want it to happen, but while at Supreme Session, cell phones that go off during meetings, meals, or other events will be fined. Violations will be a $5.00 donation to HIKE. Thank you in advance! See you in Valley Forge! Continuous, ongoing fundraising can be exhausting. The constant asks. Seizing opportunities to present and share. And it’s that hard work that blesses the lives of children across the U.S. and Canada with the gift of hearing. We are so very grateful for the dedication and efforts that every Job’s Daughter, Bethel, parent, and avid supporter gives annually to the HIKE Fund. Each year, we propose new goals and you rise to the occasion because this is our philanthropy – this is what we *get* to do to help others…and oh, what a privilege and honor that is! 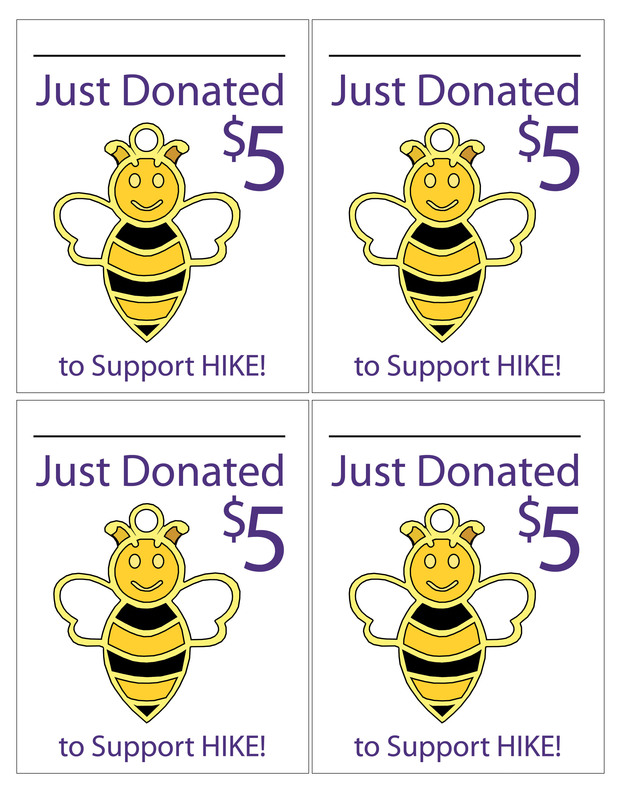 As of June 6, 2017, the HIKE Fund has received $152,082 in donations!! That is simply incredible, and we can’t thank you enough. But…we’re aiming for $200,000 this year! We have 2 months until the close of the year at the Job’s Daughters International Supreme Session in Pennsylvania on August 5th. Can we pull out the stops and hit our goal?! Bring your Bethel together and host a fundraiser for HIKE – show your spirit for helping others with life-giving hearing aids! And when you do, post to social media and send us your photos – use the hashtag: #HIKEgoals.